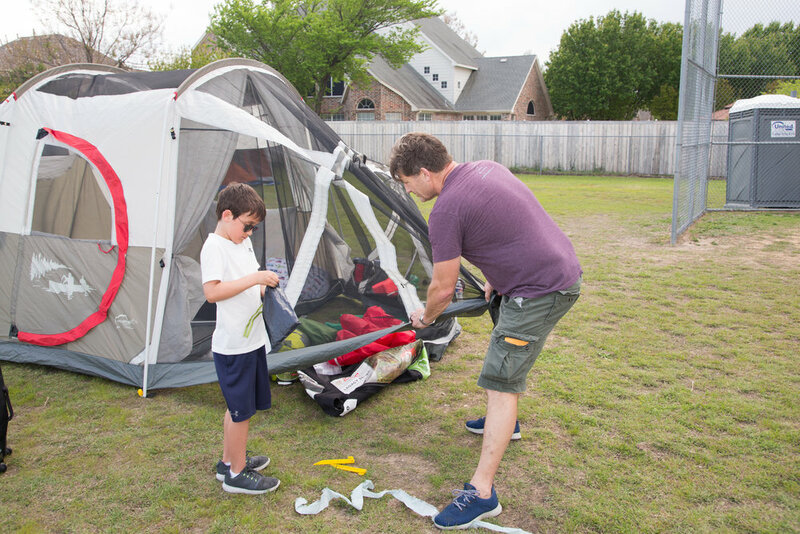 For one fun filled night the Lovejoy Elementary School playground was transformed into a campground of every child's dream at the Late Night Leopard Campout. The atmosphere was a mixture of camping and carnival, complete with school friends, teachers and guests. 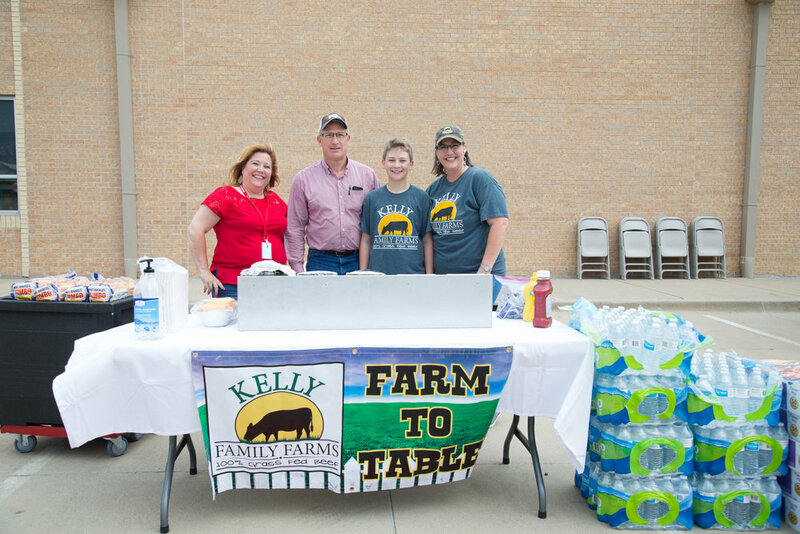 Over 110 families registered for the event which met the goal of raising $30,000 that will, according to the district website, help "fund the programs that make Lovejoy ISD special." 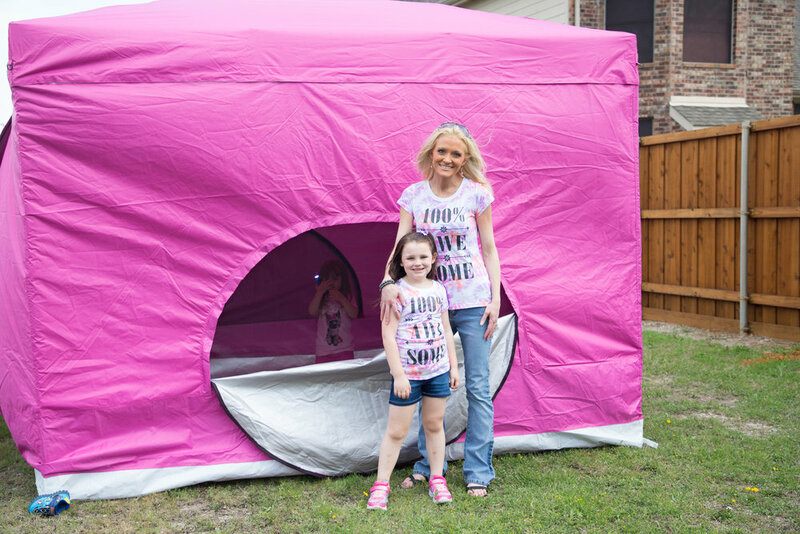 Lovejoy principal Wendy Craft stated, "We wanted to create a meaningful experience for families full of lifelong memories" as the goal of the campout. The unpredictability of spring weather threatened to hamper the event but other than a couple of lightning warnings sending the participants inside for planned activities, the rain and severe weather stayed away. The little Leopards were mostly oblivious to the weather as they enjoyed the multiple bounce houses, hamster ball, crafts, face painting, and endless supplies of food and treats. As the weather turned colder and the wind howled the campers continued their night with a dance party inside the school followed by a movie in the gym. After the movie the campers headed to their tents and bundled up for the night. A few families decided not to battle the cold and wind overnight but as the sun rose the majority of tents were in place as parents and students slowly emerged for their breakfast. 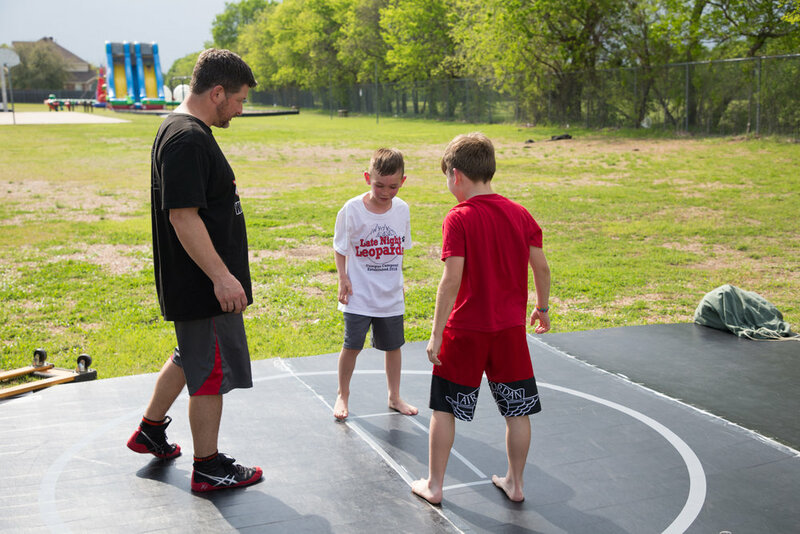 Mrs. Mcclintick, said her boys Charlie and Clay "had non stop fun" and praised the event for "being well organized and for providing this type of experience for the family so close to home." When asked about the night as they rushed for their morning coffee every parent said the event was a blast and noted the campers slept well after being worn out from all the activities. The windy night might have been a long and chilly one for the parents but the campers were given the lifelong memories with their family and friends as promised.